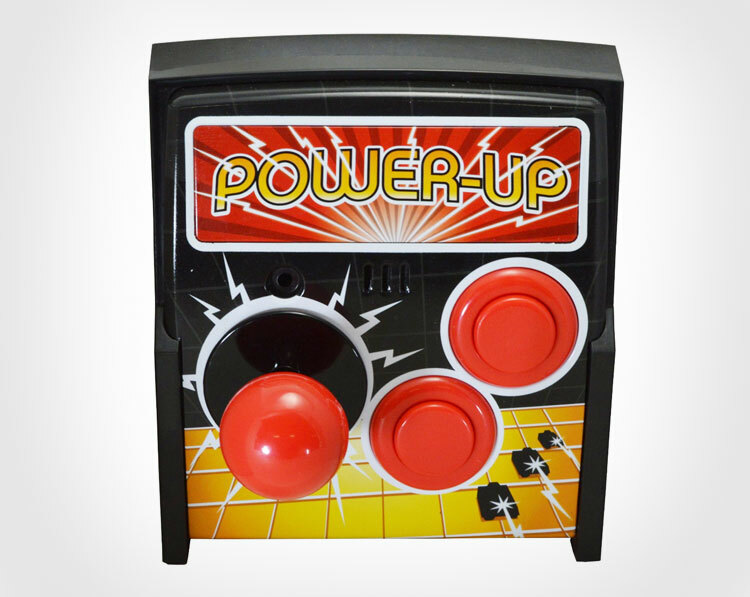 The arcade light switch is a replacement light switch plate that looks like the front of an arcade machine in that it has a joystick and two arcade like buttons on it. 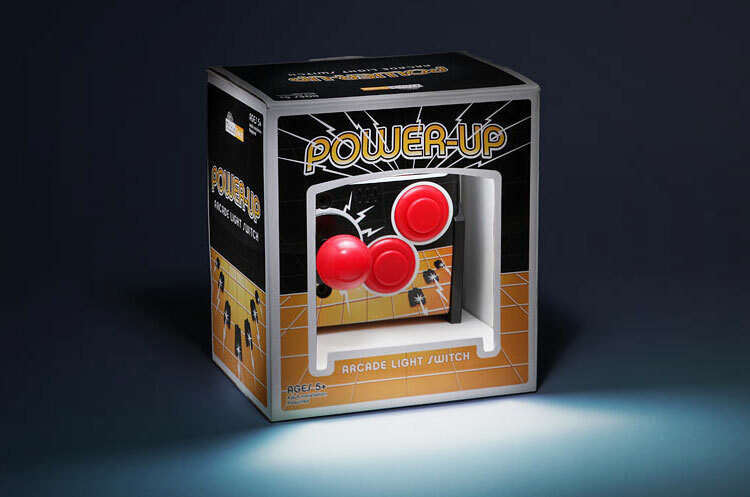 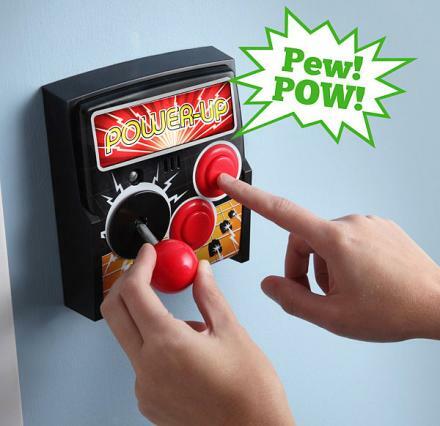 Perfect for reviving the life back into the mundane tasks of turning your dull white light switch on and off, the arcade light switch uses a joystick to turn your lights on and off, and even has two buttons to the side of it that make 'pew-pew' like arcade game sound effects, so every time you walk by the switch you can push a button on the panel to annoy any humans within a close proximity. 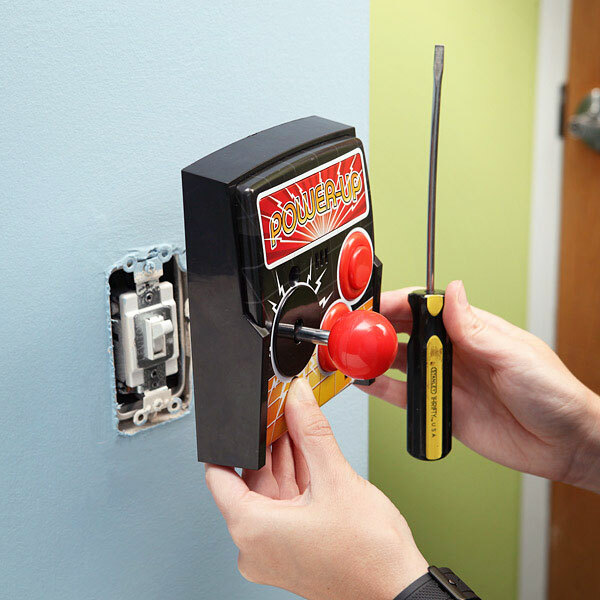 The Power-Up Arcade light switch is super easy to install as it simply replaces your current light switch plate, simply remove your old plate, and screw in the arcade switch using just a screwdriver. 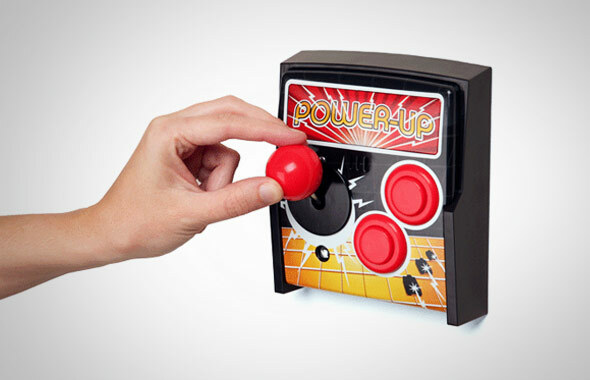 The arcade switch buttons and front light are powered by 2 AA batteries that are not included, it's made from plastic, and measures 5.5 inches wide x 6 inches tall x 1.75 inches deep. 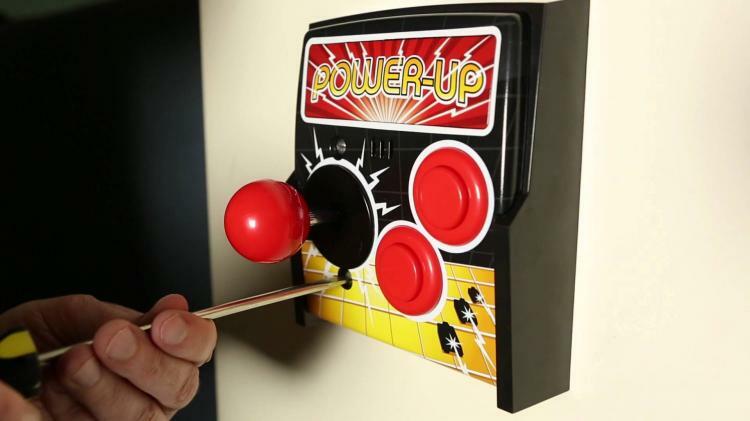 Check out the arcade joystick light switch in action via the video below.